65 years in prison for giving charity to Palestinians? This is what my friend Noor Elashi’s father, Ghassan Elashi, faces. Essentially a life sentence, and for what? Sending blankets, food, medicine, and money to Palestinians in desperate need. How was he convicted? Under the vaguely-worded “material support for terrorism” law, even giving charity to Palestinians can be considered “indirectly” supporting Hamas. But what specifically did he do? He gave money to zakat committees, which are Muslim charitable organizations — and which USAID and the UN also give support to. So if he supported terrorism by giving to zakat committes, so did the US government. Given the absurdity of the charges, how did they actually get a jury to convict him? With an anonymous Israeli witness and lots of pictures of suicide bombings (which had nothing to do with the case but swayed a Texas jury primed by our media to connect “Muslim” with “terrorist”). A disgustingly racist miscarriage of justice. The oral arguments for his appeal will take place tomorrow, Thursday. God willing, on this Eid (yes, they scheduled a Muslim’s trial during the Eid, which would be like scheduling a Christian’s trial on Christmas), he will be freed, and some day hopefully compensated for the devastating stress this whole fiasco has put his family under. Here it all is put much better, and with sobering historical context, by Noor Elashi herself. As we approach the tenth anniversary of 9/11, and my father remains incarcerated in a modern-day internment camp, the time in which we live begins to feel less like 2011 and more like 1942. But this week could determine whether today’s justice system is capable of rewriting the sad chapters of our history. I say this week because on Thursday, the Fifth Circuit Court of Appeals will hear the long-awaited oral arguments in the Holy Land Foundation case, involving what was once our country’s largest Muslim charitable organization. Meet my father, Ghassan Elashi. The co-founder of the HLF. Inmate number 29687-177, sentenced to 65 years in prison for his charity work in Palestine. He is an American citizen from Gaza City, who before his imprisonment, took part in the immigration rally in Downtown Dallas, joining the half a million people wearing white, chanting ¡Si, se puede! The prison walls have not hindered his voice, as he writes to me, heartbroken about the homes destroyed during the earthquake in Haiti, the young protesters killed indiscriminately in Syria, the children lost to the famine in Somalia. Most frequently, he writes to me about the Japanese-American internment. Now meet Fred T. Korematsu, who after Peal Harbor was among the 120,000 Japanese-Americans ordered to live in internment camps. This was in 1942, when President Roosevelt signed Executive Order 9066, which authorized the military detainment of Japanese-Americans to ten concentration camps during World War II. Mr. Korematsu defied orders to be interned, because he viewed the forced removal as unconstitutional. So on May 30, 1942, Mr. Korematsu was arrested. His case was argued all the way to the Supreme Court, which ultimately ruled against him, stating that his incarnation was justified due to military necessity. Fast-forward six years. It’s already 1989, when my father co-finds the HLF, which becomes a prominent American Muslim charity that provides relief—through clothes, food, blankets and medicine—to Palestinians and other populations in desperate need. Then, in 1996, President Clinton signs the Anti-Terrorism and Effective Death Penalty Act, giving birth to the Material Support Statute, a law that in time would come under fire by civil libertarians for profiling and targeting Arab and Muslim Americans. Two years later, in 1998, Clinton awards Mr. Korematsu with the Presidential Medal of Freedom, the highest citizen honor, condemning Mr. Korematsu’s persecution as a shameful moment in our history. Three years later, the towers fall. In 2001, President Bush signs the Patriot Act, which strengthens the Material Support Statute. The law’s language is so vague that it gives prosecutors the authority to argue that humanitarian aid to designated terrorist organizations could be indirect, and therefore, a crime. In my father’s case, he is charged with conspiring to give Material Support in the form of humanitarian aid to Palestinian distribution centers called zakat committees. Prosecutors admit the zakat committees on the indictment were not designated terrorist groups, but according to the indictment released in 2004, these zakat committees are “controlled by” or act “on behalf of” Hamas, which was designated in 1995. Their theory is that by providing charity to zakat committees, the HLF helped Hamas win the “hearts and minds” of the Palestinian people. The HLF case was tried in 2007, lasting three months, and after 19 days of deliberations, the jury deadlocked on most counts. The judge declared a mistrial and the case was tried the following year. In 2008, after essentially the same arguments, the retrial ended with the jury returning all guilty verdicts, and in 2009, my father was sentenced to 65 years in prison, for essentially giving humanitarian aid to Palestinians. In 2010, my father was transferred to a “Communications Management Unit” in Marion, Illinois—the aforementioned modern-day internment camp. The CMU received the nickname “Guantanamo North” by National Public Radio since two-thirds of its inmates are Middle Eastern or Muslim. The purpose of this prison—which has another branch in Terre Haute, Indiana—is to closely monitor inmates and limit their communications with their families, attorneys and the media. Thus, I only get to hear my father’s voice once every two weeks, for fifteen minutes. And our visitations take place behind an obtrusive Plexiglass wall. My father and his co-defendants—now called the Holy Land Five—are in the final stages of the appeal as the oral arguments approach on Thursday. In the Fifth Circuit Court in New Orleans, defense attorneys will urge the panel of three justices to reverse the HLF convictions based on errors that took place in the trial process. a) Violated the right to due process by allowing a key witness to testify without providing his real name, thereby abusing my father’s right to confront his witness. They are referring to an Israeli intelligence officer who became the first person in U.S. history permitted to testify as an expert witness using a pseudonym. b) Abused its discretion by allowing “inflammatory evidence of little or no probative value,” which included multiple scenes of suicide bombings. c) Deviated from the sentencing guidelines when they sentenced my father to 65 years. When putting the lawyerly language aside, human rights attorneys have deemed the HLF case as purely political, perpetrated by the Bush administration. Likewise, the decision to intern Japanese-Americans was based on “race prejudice, war hysteria and failure of political leadership,” according to a 1982 report by the Commission on Wartime Relocation and Internment of Civilians. I can only hope that my father’s vindication won’t take 40 years as it did for Mr. Korematsu. Let us learn from our old wrongs. Noor Elashi is a writer based in New York City. She holds a Creative Writing MFA from The New School. This op-ed was inspired by a forward written by Karen Korematsu in the upcoming book, “Patriot Acts: Narratives of Post-9/11 Injustice,” which includes a chapter about my father. You can purchase a copy here. My fall book tour is beginning to take shape. I’ll be in southern California October 11-12, speaking at the Levantine Cultural Center in LA and another venue TBD, then in the Bay Area October 13-21, where I’ll be speaking at Stanford and several other places (and attending a reunion of the Stanford Improvisers). The week of October 23, I’ll be in Oklahoma speaking at several universities. Then I’ll be back on the East Coast, where several people have contacted me and said they’re interested in hosting me for a reading, book signing, and/or presentation. It’s a lot of work organizing it all, but I’m incredibly excited. Meanwhile I just managed to finish my five new eBooks before I head out on a much-needed vacation. They’re all published on Smashwords. You can see them by visiting my Smashwords profile (or my Amazon Author’s page) and scrolling down to the six titles now under my name. Most of them are free, the rest are super cheap, and all have ample samples. 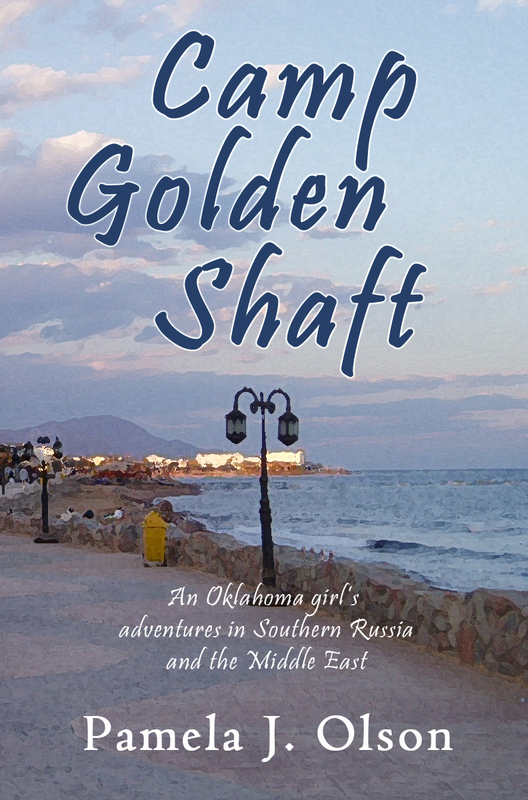 It’s mostly my unpublished travel writings from pre-Palestine travels, plus a true scandal-ridden love story that spans three continents. All right, y’all, take care. This blog should get more interesting again soon now that a lot of marketing, editing, and organizing is starting to taper off. Inshallah. First a quick announcement — I’ll be doing a reading and book signing at Bluestockings Books in Manhattan on Monday, August 15, at 7pm. Bluestockings is on the Lower East Side at 172 Allen Street between Stanton and Rivington, one block south of Houston and 1st Ave. Hope you can make it! 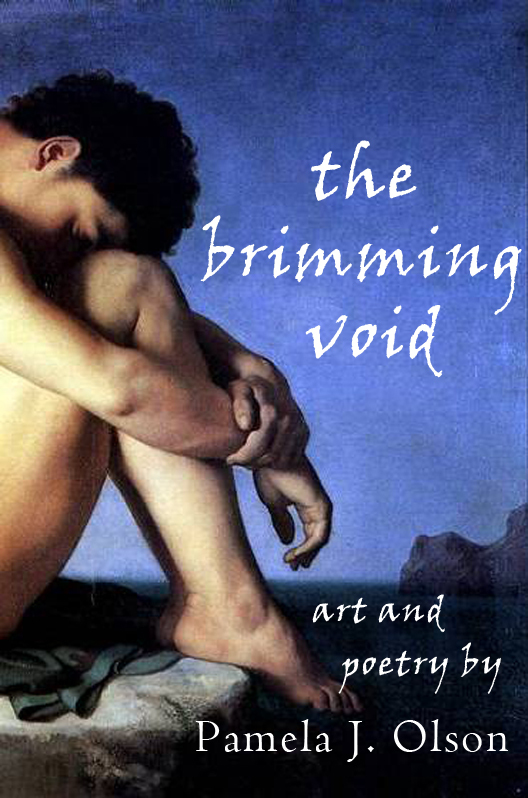 Second, I just published a new eBook, a collection of my amateur art and poetry from 1993 to the present, called The Brimming Void. The 29 short poems were mostly written in the Middle East, Russia, and California. 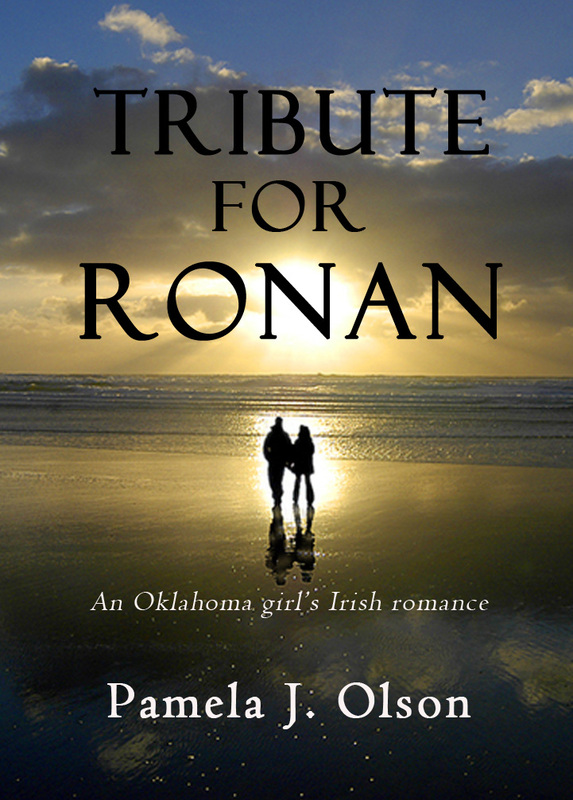 You can get it on Amazon for 99 cents or at Smashwords for free. 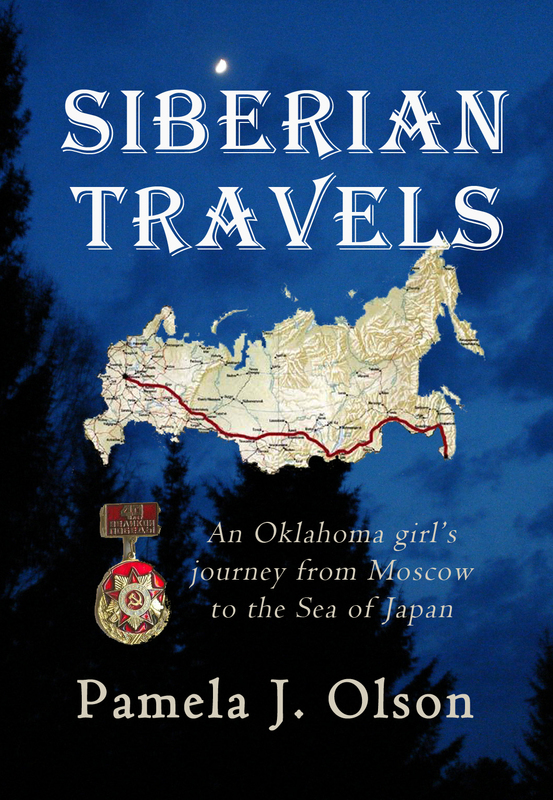 Finally, I’m working on publishing four more eBooks about my adventures traveling across Siberia by train in 2000, teaching at a summer camp in southern Russia in 2003 (Camp Golden Shaft), and backing in Egypt and Jordan, as well as a story about international romance gone horribly wrong called Tribute for Ronan. 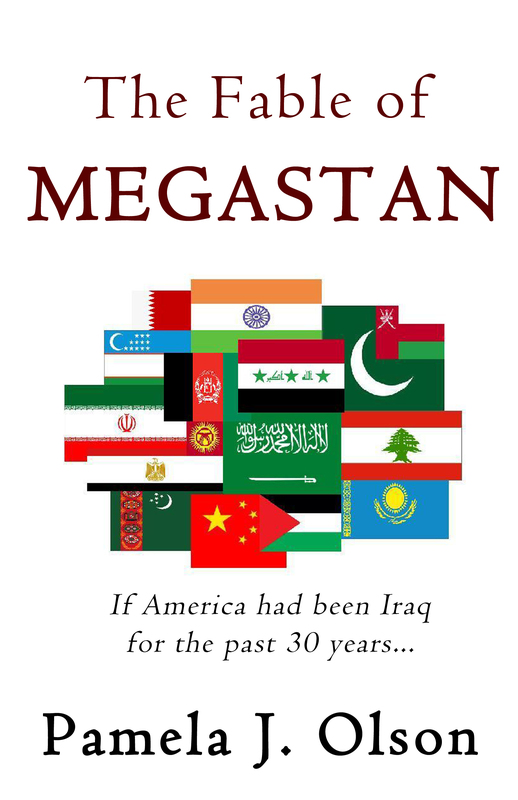 The last book is a rollicking (and well-cited) re-telling of Iraqi history for the past 30 years, with American playing the role of Iraq and a fictional country called Megastan playing the part of America. It’s an attempt to humanize to Americans what it’s like to be bullied mercilessly by both a despotic leader and a narcissistic superpower (or in this case, Megapower). I’ll sell them all in the range of $0 to $2.99, and I plan to have them all published in the next two weeks. (They’re all written, they just need to be edited and formatted.) I hope you’ll enjoy them! With a great deal of hope in my heart, I voted for President Obama three years ago. Since then, I have felt almost nothing but stunned and let down. The following landmark article eloquently explains why Obama’s presidency has been such a bitter disappointment to people like me who actually (perhaps foolishly) believed he would try to change things for the better in our nation. IT was a blustery day in Washington on Jan. 20, 2009, as it often seems to be on the day of a presidential inauguration. As I stood with my 8-year-old daughter, watching the president deliver his inaugural address, I had a feeling of unease. It wasn’t just that the man who could be so eloquent had seemingly chosen not to be on this auspicious occasion, although that turned out to be a troubling harbinger of things to come. It was that there was a story the American people were waiting to hear — and needed to hear — but he didn’t tell it. And in the ensuing months he continued not to tell it, no matter how outrageous the slings and arrows his opponents threw at him. The stories our leaders tell us matter, probably almost as much as the stories our parents tell us as children, because they orient us to what is, what could be, and what should be; to the worldviews they hold and to the values they hold sacred. Our brains evolved to “expect” stories with a particular structure, with protagonists and villains, a hill to be climbed or a battle to be fought. Our species existed for more than 100,000 years before the earliest signs of literacy, and another 5,000 years would pass before the majority of humans would know how to read and write. A story isn’t a policy. But that simple narrative — and the policies that would naturally have flowed from it — would have inoculated against much of what was to come in the intervening two and a half years of failed government, idled factories and idled hands. That story would have made clear that the president understood that the American people had given Democrats the presidency and majorities in both houses of Congress to fix the mess the Republicans and Wall Street had made of the country, and that this would not be a power-sharing arrangement. It would have made clear that the problem wasn’t tax-and-spend liberalism or the deficit — a deficit that didn’t exist until George W. Bush gave nearly $2 trillion in tax breaks largely to the wealthiest Americans and squandered $1 trillion in two wars. And perhaps most important, it would have offered a clear, compelling alternative to the dominant narrative of the right, that our problem is not due to spending on things like the pensions of firefighters, but to the fact that those who can afford to buy influence are rewriting the rules so they can cut themselves progressively larger slices of the American pie while paying less of their fair share for it. But there was no story — and there has been none since. When Barack Obama stepped into the Oval Office, he stepped into a cycle of American history, best exemplified by F.D.R. and his distant cousin, Teddy. After a great technological revolution or a major economic transition, as when America changed from a nation of farmers to an urban industrial one, there is often a period of great concentration of wealth, and with it, a concentration of power in the wealthy. That’s what we saw in 1928, and that’s what we see today. At some point that power is exercised so injudiciously, and the lives of so many become so unbearable, that a period of reform ensues — and a charismatic reformer emerges to lead that renewal. In that sense, Teddy Roosevelt started the cycle of reform his cousin picked up 30 years later, as he began efforts to bust the trusts and regulate the railroads, exercise federal power over the banks and the nation’s food supply, and protect America’s land and wildlife, creating the modern environmental movement. Those were the shoes — that was the historic role — that Americans elected Barack Obama to fill. The president is fond of referring to “the arc of history,” paraphrasing the Rev. Dr. Martin Luther King Jr.’s famous statement that “the arc of the moral universe is long, but it bends toward justice.” But with his deep-seated aversion to conflict and his profound failure to understand bully dynamics — in which conciliation is always the wrong course of action, because bullies perceive it as weakness and just punch harder the next time — he has broken that arc and has likely bent it backward for at least a generation. When Dr. King spoke of the great arc bending toward justice, he did not mean that we should wait for it to bend. He exhorted others to put their full weight behind it, and he gave his life speaking with a voice that cut through the blistering force of water cannons and the gnashing teeth of police dogs. He preached the gospel of nonviolence, but he knew that whether a bully hid behind a club or a poll tax, the only effective response was to face the bully down, and to make the bully show his true and repugnant face in public. IN contrast, when faced with the greatest economic crisis, the greatest levels of economic inequality, and the greatest levels of corporate influence on politics since the Depression, Barack Obama stared into the eyes of history and chose to avert his gaze. Instead of indicting the people whose recklessness wrecked the economy, he put them in charge of it. He never explained that decision to the public — a failure in storytelling as extraordinary as the failure in judgment behind it. Had the president chosen to bend the arc of history, he would have told the public the story of the destruction wrought by the dismantling of the New Deal regulations that had protected them for more than half a century. He would have offered them a counternarrative of how to fix the problem other than the politics of appeasement, one that emphasized creating economic demand and consumer confidence by putting consumers back to work. He would have had to stare down those who had wrecked the economy, and he would have had to tolerate their hatred if not welcome it. But the arc of his temperament just didn’t bend that far. The truly decisive move that broke the arc of history was his handling of the stimulus. The public was desperate for a leader who would speak with confidence, and they were ready to follow wherever the president led. Yet instead of indicting the economic policies and principles that had just eliminated eight million jobs, in the most damaging of the tic-like gestures of compromise that have become the hallmark of his presidency — and against the advice of multiple Nobel-Prize-winning economists — he backed away from his advisers who proposed a big stimulus, and then diluted it with tax cuts that had already been shown to be inert. The result, as predicted in advance, was a half-stimulus that half-stimulated the economy. That, in turn, led the White House to feel rightly unappreciated for having saved the country from another Great Depression but in the unenviable position of having to argue a counterfactual — that something terrible might have happened had it not half-acted. To the average American, who was still staring into the abyss, the half-stimulus did nothing but prove that Ronald Reagan was right, that government is the problem. In fact, the average American had no idea what Democrats were trying to accomplish by deficit spending because no one bothered to explain it to them with the repetition and evocative imagery that our brains require to make an idea, particularly a paradoxical one, “stick.” Nor did anyone explain what health care reform was supposed to accomplish (other than the unbelievable and even more uninspiring claim that it would “bend the cost curve”), or why “credit card reform” had led to an increase in the interest rates they were already struggling to pay. Nor did anyone explain why saving the banks was such a priority, when saving the homes the banks were foreclosing didn’t seem to be. All Americans knew, and all they know today, is that they’re still unemployed, they’re still worried about how they’re going to pay their bills at the end of the month and their kids still can’t get a job. And now the Republicans are chipping away at unemployment insurance, and the president is making his usual impotent verbal exhortations after bargaining it away. What makes the “deficit debate” we just experienced seem so surreal is how divorced the conversation in Washington has been from conversations around the kitchen table everywhere else in America. Although I am a scientist by training, over the last several years, as a messaging consultant to nonprofit groups and Democratic leaders, I have studied the way voters think and feel, talking to them in plain language. At this point, I have interacted in person or virtually with more than 50,000 Americans on a range of issues, from taxes and deficits to abortion and immigration. When pitted against a tough budget-cutting message straight from the mouth of its strongest advocates, swing voters vastly preferred a message that began, “The best way to reduce the deficit is to put Americans back to work.” This statement is far more consistent with what many economists are saying publicly — and what investors apparently believe, as evident in the nosedive the stock market took after the president and Congress “saved” the economy. Like most Americans, at this point, I have no idea what Barack Obama — and by extension the party he leads — believes on virtually any issue. The president tells us he prefers a “balanced” approach to deficit reduction, one that weds “revenue enhancements” (a weak way of describing popular taxes on the rich and big corporations that are evading them) with “entitlement cuts” (an equally poor choice of words that implies that people who’ve worked their whole lives are looking for handouts). But the law he just signed includes only the cuts. This pattern of presenting inconsistent positions with no apparent recognition of their incoherence is another hallmark of this president’s storytelling. He announces in a speech on energy and climate change that we need to expand offshore oil drilling and coal production — two methods of obtaining fuels that contribute to the extreme weather Americans are now seeing. He supports a health care law that will use Medicaid to insure about 15 million more Americans and then endorses a budget plan that, through cuts to state budgets, will most likely decimate Medicaid and other essential programs for children, senior citizens and people who are vulnerable by virtue of disabilities or an economy that is getting weaker by the day. He gives a major speech on immigration reform after deporting around 800,000 immigrants in two years, a pace faster than nearly any other period in American history. THE real conundrum is why the president seems so compelled to take both sides of every issue, encouraging voters to project whatever they want on him, and hoping they won’t realize which hand is holding the rabbit. That a large section of the country views him as a socialist while many in his own party are concluding that he does not share their values speaks volumes — but not the volumes his advisers are selling: that if you make both the right and left mad, you must be doing something right. As a practicing psychologist with more than 25 years of experience, I will resist the temptation to diagnose at a distance, but as a scientist and strategic consultant I will venture some hypotheses. The most charitable explanation is that he and his advisers have succumbed to a view of electoral success to which many Democrats succumb — that “centrist” voters like “centrist” politicians. Unfortunately, reality is more complicated. Centrist voters prefer honest politicians who help them solve their problems. A second possibility is that he is simply not up to the task by virtue of his lack of experience and a character defect that might not have been so debilitating at some other time in history. Those of us who were bewitched by his eloquence on the campaign trail chose to ignore some disquieting aspects of his biography: that he had accomplished very little before he ran for president, having never run a business or a state; that he had a singularly unremarkable career as a law professor, publishing nothing in 12 years at the University of Chicago other than an autobiography; and that, before joining the United States Senate, he had voted “present” (instead of “yea” or “nay”) 130 times, sometimes dodging difficult issues. A somewhat less charitable explanation is that we are a nation that is being held hostage not just by an extremist Republican Party but also by a president who either does not know what he believes or is willing to take whatever position he thinks will lead to his re-election. Perhaps those of us who were so enthralled with the magnificent story he told in “Dreams From My Father” appended a chapter at the end that wasn’t there — the chapter in which he resolves his identity and comes to know who he is and what he believes in. Or perhaps, like so many politicians who come to Washington, he has already been consciously or unconsciously corrupted by a system that tests the souls even of people of tremendous integrity, by forcing them to dial for dollars — in the case of the modern presidency, for hundreds of millions of dollars. When he wants to be, the president is a brilliant and moving speaker, but his stories virtually always lack one element: the villain who caused the problem, who is always left out, described in impersonal terms, or described in passive voice, as if the cause of others’ misery has no agency and hence no culpability. Whether that reflects his aversion to conflict, an aversion to conflict with potential campaign donors that today cripples both parties’ ability to govern and threatens our democracy, or both, is unclear. A final explanation is that he ran for president on two contradictory platforms: as a reformer who would clean up the system, and as a unity candidate who would transcend the lines of red and blue. He has pursued the one with which he is most comfortable given the constraints of his character, consistently choosing the message of bipartisanship over the message of confrontation. But the arc of history does not bend toward justice through capitulation cast as compromise. It does not bend when 400 people control more of the wealth than 150 million of their fellow Americans. It does not bend when the average middle-class family has seen its income stagnate over the last 30 years while the richest 1 percent has seen its income rise astronomically. It does not bend when we cut the fixed incomes of our parents and grandparents so hedge fund managers can keep their 15 percent tax rates. It does not bend when only one side in negotiations between workers and their bosses is allowed representation. And it does not bend when, as political scientists have shown, it is not public opinion but the opinions of the wealthy that predict the votes of the Senate. The arc of history can bend only so far before it breaks. I’m writing to thank you for your haunting memoir, Dreams from My Father, which I enjoyed immensely. Please find enclosed a small thank-you gift: A signed copy of my recently published memoir, Fast Times in Palestine. The aim of the book is to enlighten Americans about the reality of life under Israeli occupation in a way anyone can relate to and even enjoy. I modeled it after Uncle Tom’s Cabin, a book that didn’t try to pontificate about the evils of slavery but rather displayed these evils in a gripping story full of love, beauty, suspense, cruelty, and deeply human characters, and was therefore able to reach and move broad audiences. I hope you enjoy this book, and I hope it will inspire you to support Israelis, Palestinians, and Americans who value dignity, equality, and genuine security for all peoples. I understand why you feel constrained to support the same policies as your predecessors. But I think you know in your heart that this is a dead-end road that effectively supports Israel’s self-destructive occupation and needlessly endangers Israelis, Palestinians, and Americans. A more even-handed approach based on international law will no doubt be politically difficult. But your principled leadership on this issue would be warmly appreciated by millions — and I daresay by generations. With hope for equal rights for all in the Holy Land in our lifetime.